Starch acetate (and) Hydroxyethylcellulose (and) Xanthan gum. Beauté by Roquette® DS 112 by Roquetter acts as thickening and stabilizing agent. It is a non-ionic and dispersible powder with a very high tolerance to pH and electrolytes. It provides light to creamy texture with a unique dry, smooth & velvet feel. It is convenient for both hot & cold process and suitable for a wide range of cosmetic products. It can be incorporated into the water phased and generates translucent formulations. 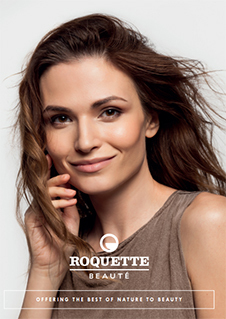 Beauté by Roquette® DS 112 is recommended for all cosmetics applications. Compliant with US, EU, China and Japan regulations.